If you require a plumber in West Kensington, you’re in luck! 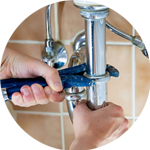 The Handy Squad will be able to send a reliable and efficient plumber to help you with any of your plumbing issues. 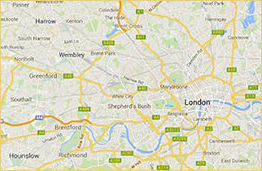 You can see us all around London in our unmissable yellow scooters and vans ready to help. 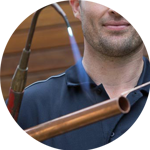 No job is too big or small for our team, so why not give your local West Kensington plumber a call? Located in the border between Hammersmith & Fulham and Kensington & Chelsea, West Kensington is one of the most desirable neighbourhoods in London. It is home to three well-known Victorian institutions: Olympia Exhibition Centre, the Queen’s Club, and Lamda drama school. West Kensington is mainly a residential area, featuring stunning Victorian terraced houses and large mansion flat blocks. It is home to West Kensington Court which was purposely built in 1938 as luxury flats for young professionals. No matter where you are in London, our qualified team will be with you in no time at all. 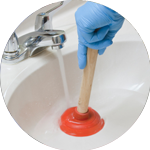 We offer a wide variety of services including; repairing sinks and basins as well as installing toilets and bidets. 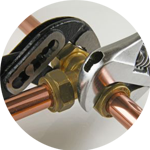 If you are looking for other handyman services, our Handyman London team offers decorating services, locksmith services, flat pack assembly and much more.